The past couple of days I have talked about basic fall tops and cardigans and basic fall bottoms. So it only makes sense to talk about basic fall shoes today. Shoes are always a little more of an investment than tops and bottoms, but they are one of those items that you will get so much use out of if you buy a high quality shoe that you love. Jack Rogers Boots (the first pair in the picture above)- These are my newest pair of shoes that my mom got for me, and the pair of shoes I will be wearing all fall and winter. I adore them! Go up half a size. Sam Edelman Boots-Sam Edelman is another brand of shoes that is always amazing. I have these boots in black and brown and have worn them countless times over the past couple of years. They are currently 10% off at Nordstrom and a phenomenal shoe you will get your money's worth out of for sure. Tory Burch Riding Boots- I have gotten 2 pairs of these as Christmas gifts over the years and you can never go wrong with a pair of Tory Burch boots. She changes them up a little bit each year, so I have linked this year's style of riding boots that she released recently. The price is a little steeper than I usually spend, but the quality is always phenomenal. When you purchase these, you know they will be boots that last you a lifetime. Jack Rogers Booties- These are the booties I am most excited about wearing this fall! I LOVE the scalloped edges and color. You will see me wearing these constantly. I also adore these. Steve Madden Cutout Booties- My exact Steve Madden booties are from the past couple of years, so the ones I have linked are this year's version. I own 3 pairs of Steve Madden booties and think you can do no wrong with any Steve Madden booties. They are always so comfortable and fabulous. Steve Madden Kyle Booties- These are the most similar pair I could find to the 2 that I own in black and grey. These are the perfect pair of everyday booties to have in your closet. 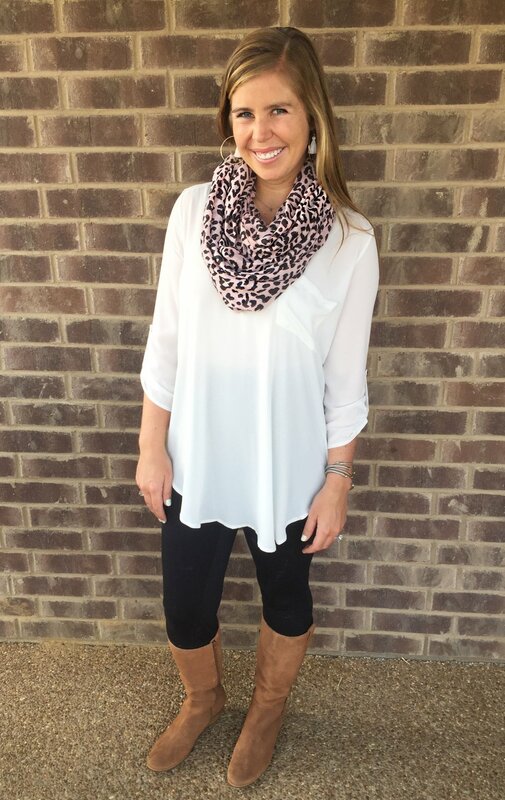 Pearl Booties- Pearl embellished everything is so on trend for fall, and y'all have to check these out. I do not own these, but I certainly want to. White Leather Booties- I wanted to include these in today's post because they were all over the place during New York Fashion Week. They looked fabulous on so many girls, but they don't look like something I could pull off. Grey Lucky Brand Mules- I got these in the spring and I have worn them constantly since then. I think they are also the perfect pair of shoes to wear into fall. My exact ones are 50% off and almost sold out, but click here to see some really similar ones in other colors. Marc Fisher Mules- I got these in the spring too, and they are also almost sold out. I think mules are the most season-appropriate shoe for us southerners to wear as we transition into fall. Click here to find a few more sizes. BP Mules- These are #1 on my wishlist right now! I don't own them yet, but I certainly plan on making the purchase soon! Hunter Rain Boots- Before I went to the Arkansas Auburn game in Fayetteville a couple years ago, my mom bought me these beauties. The forecast showed a 100% chance of rain, and then it ended up not raining. Regardless, I wore these boots and have loved them ever since. I love the glossy ones, but if thats not your thing, they also have matte ones. Jack Rogers Rain Boots- I got these in the spring and am so excited to wear these soon! They come in several different color ways. I got black, but I also really like all of the other ones. I usually wear a 9 and went with an 8 in these, so go down a full size. Slippers- I live in these. I wear them every single day and think everyone needs a pair. Boots- I haven't worn these in a while, but I'm excited to pull them back out for when the temperature drops. Do you have any shoes for fall that you are excited about? I haven't bought any new pairs recently, and I currently have my eye on 2 pairs- these mules in grey and fuschia and these wedges in all the colors.